As a mother, grandmother, and a retired child care worker I like to purchase toys that are both fun and educational. This is what you get with the Match It! Listen & Play Bingo - On The Go from The Learning Journey International. There are so many ways to play either on their own, with a friend, sibling, or family member. Sure to be loved by everyone. I know I love this game myself and is a game I play with my children that doesn't take tons of time to play which is great for waiting for appointments, siblings at a sporting event, or just fun at home. This game teaches different vehicles, what they sound like, the words, as well as matching. Two sided board has two ways to play. I really like the box that everything stores in because it has a handle so the children can grab it for on the go fun. You can find Match It! 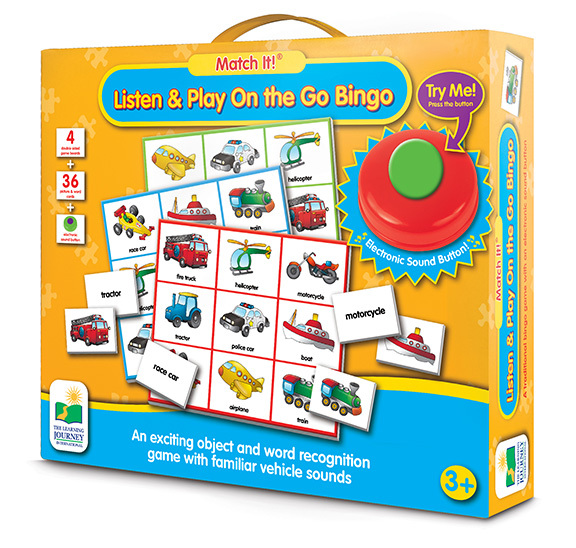 Listen & Play Bingo - On The Go here or on Amazon. What The Learning Journey International has to say about their product. Match It! 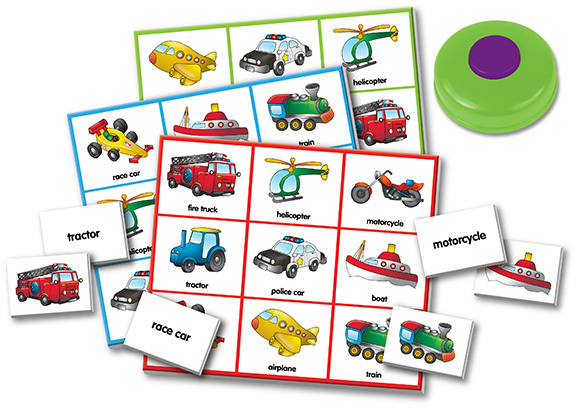 Listen & Play On the Go Bingo is perfect for young readers and is designed to assist young children with sound, object and word recognition. To play the game, simply press the Electronic Sound button, identify the sound and find the corresponding picture card. By hearing and matching the images, words and sounds with the electronic button, children will enjoy valuable learning experiences in a fun and easy way. Listen & Play On the Go Bingo includes an electronic sound making button, 4 double sided game boards, 36 picture word cards and suggestions for various ways to play the game. For two to four players. Recommended for ages 3+ years.